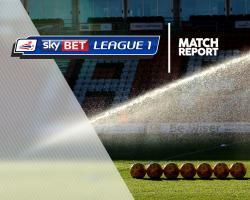 Matt Crooks headed a late winner as Scunthorpe edged a pulsating contest with Bradford 3-2. The midfielder stole into the box to nod in from a right-wing corner in the 83rd minute and complete an impressive turnaround for the Iron, who had trailed 2-1 at the break. Scunthorpe opened the scoring in the third minute, when the Bantams allowed Ivan Toney the time and space to smash the ball home at the far post. The visitors, though, turned the game on its head in the space of two minutes, with Kevin Toner heading in from a free-kick with 14 minutes gone and Alex Jones finding the bottom corner moments later. Toney produced a clever bicycle kick from on the corner of the six-yard box to lob the home side on to level terms three minutes after the restart before Crooks gave his side the lead. A see-saw contest almost took a final twist in stoppage time but City hit the bar from a corner, ensuring the Iron claimed the points.